At Okanagan Hardwood Flooring, we carry both cork and vinyl cork products from some of Canada’s finest manufacturers. With a wide range of colours, textures and styles, cork is a beautiful addition to your flooring package, as well as being one of the most environmentally flooring products for your home. 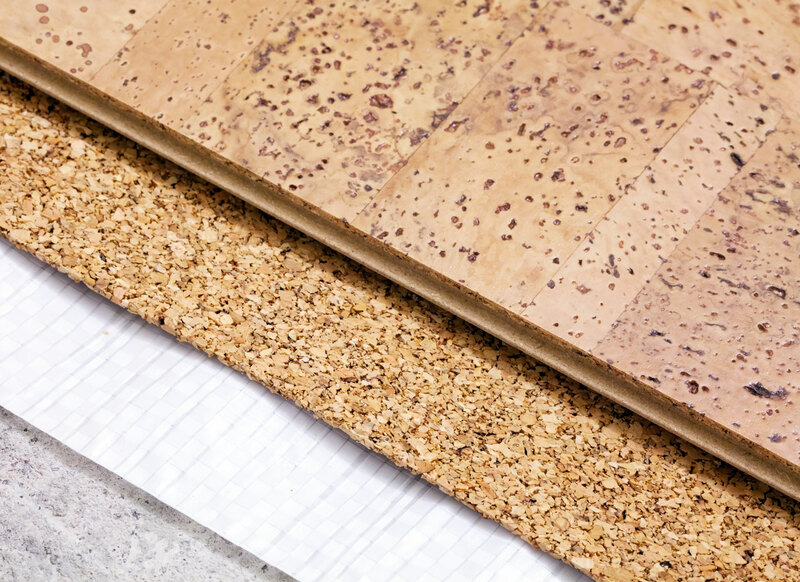 PREPARATION – cork needs to be installed on a dry, smooth surface. ACCLIMATION – generally, cork flooring needs to acclimate to the room it will be installed in for at least 48 hours prior to installation. 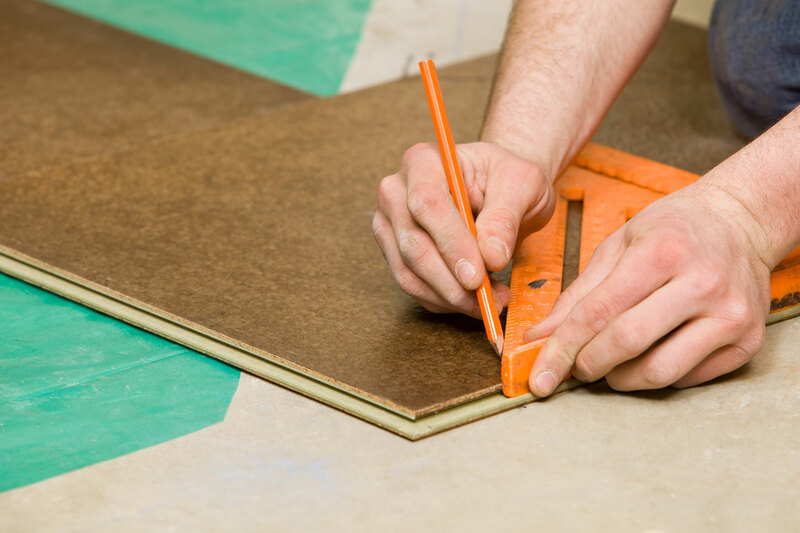 METHODS - cork planks or tiles are available in glue-down or floating installation methods. 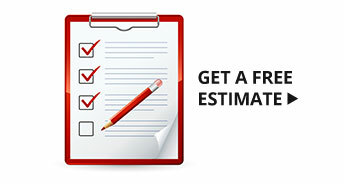 There is no design to match in the installation process. Deciding which process to use depends on what surface you are installing them over. If there is risk of moisture coming up through a concrete slab, a moisture barrier would have to be used, which would mean a floating floor system would be your best choice. A glue down cork floor can be used over dry, clean and dirt or contaminant free subfloor. 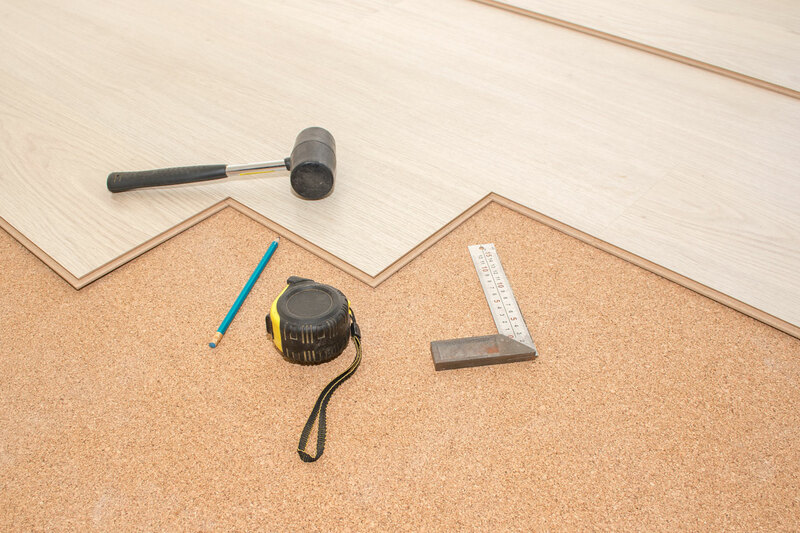 GLUE DOWN – a glue-down method requires special tools and requires more attention to the preparation of the subfloor. 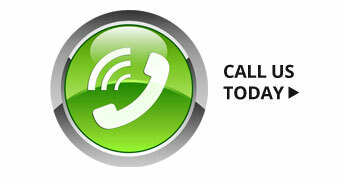 In many cases, hiring a professional installer is preferred over installing the floor yourself. When cork flooring products are used in areas of the home where water spillage is a concern, caulking and the application of a joint sealer is recommended. Floating Floor - each cork plank or tile is joined together, either with a click-type or interlocking system, and “floats” above the substrate or subfloor. 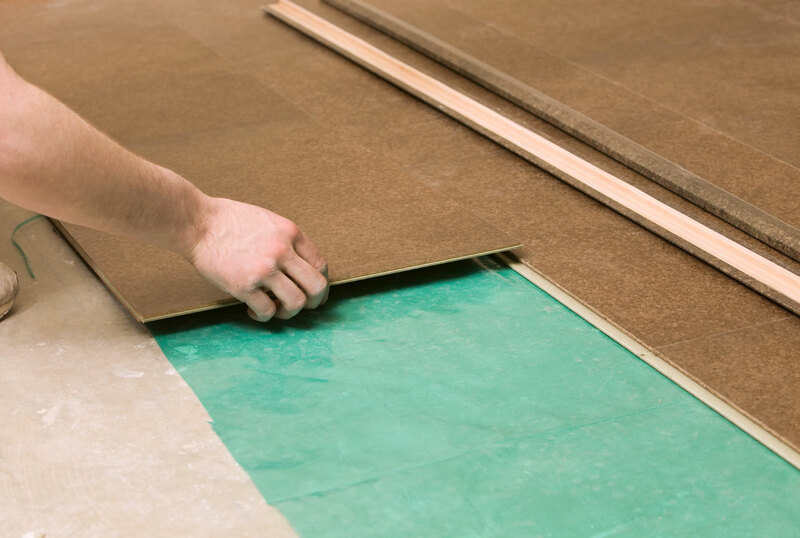 Depending on the cork plank or tile’s composition, an added acoustic underlay or moisture barrier can be placed underneath. A floating floor is a fast and easy choice, especially in basements or below grade applications. over radiant heat systems – special care is required when installing over radiant heat systems due to the insulating properties of cork. Refer to your manufacturer as to whether your cork product is recommended over radiant heat, and what special precautions should be followed when installing. in rooms with heavy traffic use, or rooms in which water spills are a concern. Even with the strength of the finishes used on cork floors, care and maintenance is extremely important to maintain the beauty of your cork flooring. Although the finish is very durable, areas like kitchens, mud rooms, laundry rooms and bathrooms come with a few extra precautions. The use of area rugs or mats (not latex or rubber- backed) in front of appliances, sinks, baths and showers will help protect your floor from excess traffic, water and food spills that can damage the wear layer of your cork flooring over time. Also, heavy traffic areas like doorways and entrances should also be protected. Certain bathrooms – such as powder rooms – lend themselves well to cork flooring as the risk of water spillage is less than frequently used bathrooms with baths and showers. Floating floors installations are generally not recommended for bathrooms; glue-down flooring can be caulked and a sealant applied to the joints. 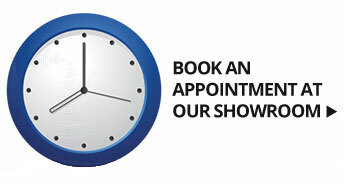 Consider cork flooring products with extra water resistance properties for these areas. Also, as with most flooring products, care must be taken if you have pets. A pet’s claws can cause scratches on the surfaces, especially when running on the floor. Trimming your pet’s claws regularly will help prevent this. Cork is also an excellent insulator when installed underneath prefinished or laminate flooring.